It is 6:00am and the rooster has crowed for the 5th time this morning. The air is filled with the fresh aroma of a new dawn in the mountains mixed with the smoke that comes from the wood stoves in the houses. Life, in San Pedro La Laguna, has elements which required no adjustment process, mornings like this became part of our daily routine, as a soothing oil. There are elements to a new lifestyle which are easy to get accustomed to, and there are those that take longer. 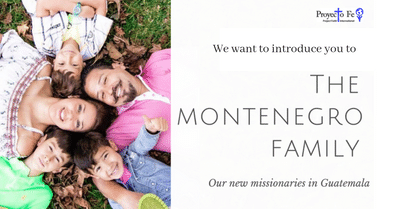 As a missionary family, moving is part of our life, but, that does not mean it is easy and it does not mean we are not scared. It has been 12 weeks since we moved to San Pedro. We have not even finished unpacking. There are suitcases and boxes still unopened. Living conditions are different (not bad, just different) and we are learning to adjust. Our three sons have gone through a wide range of emotions since we arrived. The excitement of a new adventure and a new place to live changed in a few weeks to the realization that they are living, once again, far from our extended family, that they will not be seeing their church friends every week and that there will be new classmates sitting next to them this school year. Sadness and frustration are the first emotions that emerge after that realization. During those days we needed to be very attentive of what they said and how they said it without overwhelming them nor falling into overprotection. There is lots of prayer involved, lots of understanding, lots of trusting in the Lord, and, lots of putting our feelings aside, because who likes to see their own child hurting? Faith is what pushes us, guides us, leads us and gives us peace through it all. Taking steps of faith does not mean that there will be exhilarating joy all the time. It means that you have a purpose and a sense of direction. If you take steps of faith expecting a smooth ride, you are in for a great deal of disappointment. 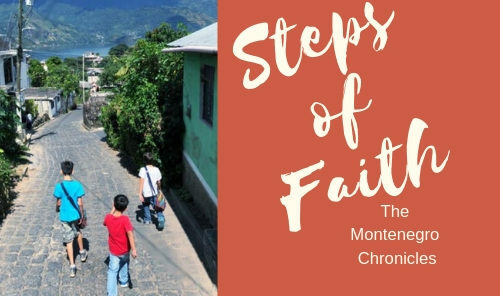 There are steps of faith that require us to believe without understanding or seeing, like when we believe for healing during a terrible disease. There are steps of faith that must be taken knowing all the pros and cons, but not knowing the outcome. Some steps of faith require moving to a different city/location. Others require a profound change of heart, but there is one thing all steps of faith have in common, they all push us out of our comfort zone. The further away from our comforts zone, the deeper the lesson, but only if we are willing, because God speaks to our lives in a personalized way and guides us through the process. Our three sons were pushed out of their comfort zones, again. The crisis this caused has only two possible outcomes: not accepting it, which means to stop growing; or, opening up to a new lifestyle, embracing it, meeting new people and learning new lessons; because, this is what life is all about. Maybe faith is pushing you to go out of your comfort zone. Maybe life’s unexpected events have pushed you out of your comfort zone. Maybe you are afraid of what that may represent because there may not be a safety net… or at least not one familiar to you. But God will be there every step of the way. When He leads you, He walks ahead of you, with you and behind you. Despite the reason why you are where you are, He is there, and He will bring you through the crisis. You will emerge as a different person, with new lessons learned and a new perspective in life. Proyecto Fe’s office is located inside Colegio Bethel’s premises. Standing in front of the office, I can see the playground area and the basketball court. It is recess time and every now and then I see our boys running alongside their new made friends; one plays hide and seek, the other laughs with his classmate and the other one is playing soccer with a bunch of boys. As the morning breeze reminds me of the presence of the Holy Spirit amongst us I say to myself, He is in control. One day at a time. Please pray for Daniel, Joaquín and Roberto as they keep adjusting to life in San Pedro. That they, even at this young age, may understand God’s call on their lives. For Bernardo and Carla, as they get to know the ropes of the new tasks ahead of them. That all they do be done graciously and with God´s wisdom.